Not many principals can say they were raised in a school. But this year’s Administrator of the Year grew up in a house that was once the old Crockett Elementary School in Tate County. When she was in high school, she won “best actress” award for her role as a principal in her school play, foreshadowing her future career. Now she runs a Blue Ribbon School in DeSoto County where 100 percent of her third grade students passed the 3rd Grade Reading Assessment. Her school was ranked the top elementary school in DeSoto County and 16th in the state based on MAP Test scores. 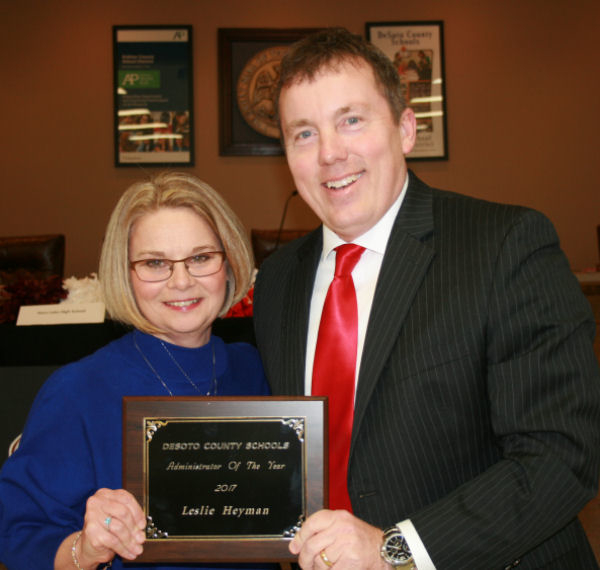 Leslie Heyman is the 2017 Administrator of the Year for DeSoto County Schools. 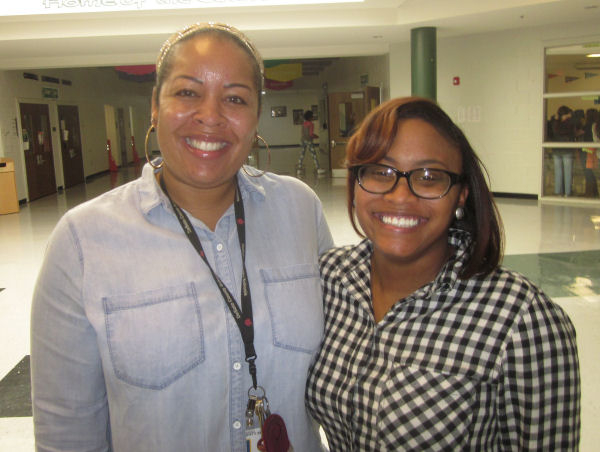 As the leader for Center Hill Elementary School, she credits her predecessor, the late Rebecca Dearden, for “building a great foundation of academic excellence, superior teaching staff, and community involvement” that she works to sustain. “’Just love the kids,’ was Mrs. Dearden’s philosophy, and I have this thought framed in my office and focus on it daily,” Heyman said. It is her belief that students will succeed when they know they are valued and loved, and when they are provided with a learning environment that is engaging, relevant for everyday life experiences, and purposeful. 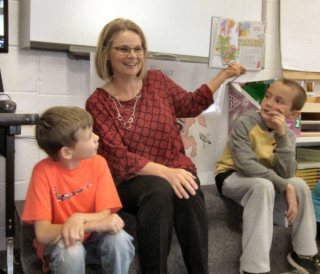 This is her fourth year as principal at CHES and her 30th year as an educator. For 21 years she was a classroom teacher. In 2009, she became an assistant principal at Overpark Elementary School under the direction of OES Principal Lisa Love. Mrs. Heyman understands the importance of community involvement. CHES has partnered with the Olive Branch Rotary to create an extensive playground known as Rotary Park. She encourages the school’s participation in Shoeboxes for Soldiers, a local food drive, and assists local agencies to provide Christmas and Thanksgiving items to families in need. 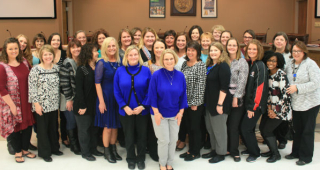 With help from Domino’s Pizza and other Olive Branch schools, she hosts a Chamber of Commerce luncheon to show appreciation for the support that community businesses offer the schools. Every year, her school of 775 students grants a wish with the Make-A-Wish Foundation. This little school has raised more than $70,000 for this program. “I love to see students and staff give back to the community and those in need,” she said. DeSoto Central High’s Band headed to New York during Spring Break to march in New York City’s St. Patrick’s Day Parade. 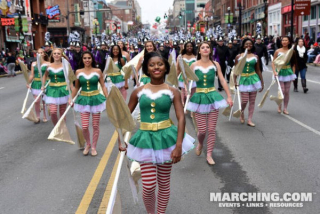 “We were the first band from Mississippi to march in the oldest parade in our nation. This parade started in 1762 and was attended by 2.5 million people in 2016,” said Dennis Cox, DCHS band director. The parade was aired live on NBCNewYork.com on March 17th. The St. Patrick’s Day Parade reveals an Irish love of music. More than 300 groups, including 150 marching bands and pipers from Ireland and Spain, participated in the festivities this year. Traditionalists enjoyed seeing the New York Police and Fire Departments’ Emerald Society Pipes & Drums have their usual pride of place in the parade. The parade stepped off at 11 a.m. from 44th Street and proceeded up Fifth Avenue to 79th Street in Manhattan. “I was excited to experience new things with my band family,” said Senior Drum Major Morgan Woodard. 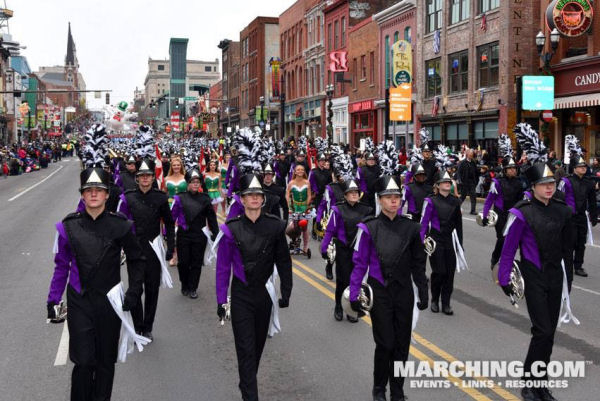 DeSoto Central High School’s Band was contacted by the New York City’s St. Patrick’s Day Parade Committee about the parade. The band completed an application process and was accepted, according to Cox. There were 132 band students plus parents and staff attending. 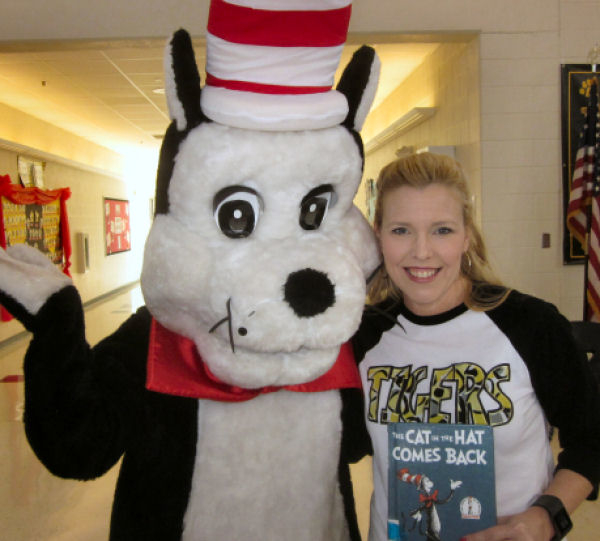 The Cat in the Hat and PTA Volunteer Amanda Uselton kicked off the Read Across America Day at Hernando Hills Elementary. 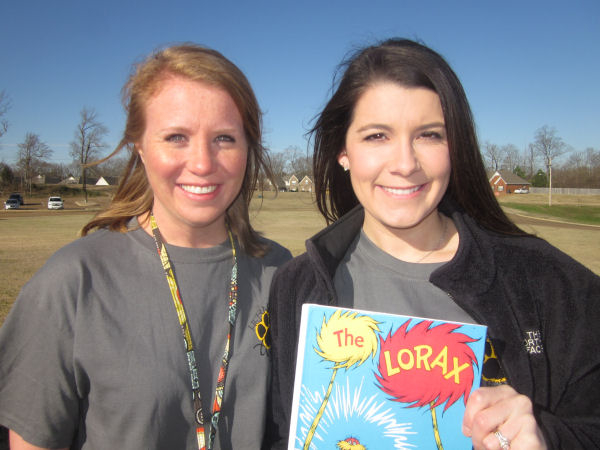 “Read Across America” is a Dr. Seuss Celebration. Hernando Hills Elementary School had a fun-filled day of Dr. Seuss activities, including an outdoor field day with STEM (Science, Technology, Engineering and Math) activities, all tied to Dr. Seuss books. Second grade students had a guest appearance from “The Cat in the Hat” and PTA Volunteer Amanda Uselton. She read them the book in the rotunda. Next, students moved outdoors and went from station to station enjoying activities and experiments, staffed with PTA volunteers and community partners. “All eight stations were tied to a Dr. Seuss book,” said Anna Leigh Minor, second grade teacher and an organizer of the event. Pediatric Dentist Jason Coleman sent a representative to talk to students about tooth health, and gave the students toothbrushes. This went with The Tooth Book. Students ran relays with plastic green eggs to illustrate Green Eggs and Ham. They all got to use potting soil and plant a “truffle tree” from The Lorax. A cup stacking contest celebrated The Cat in the Hat. Second grade teachers Anna Leigh Minor and Victoria Dove planned the STEM activities. 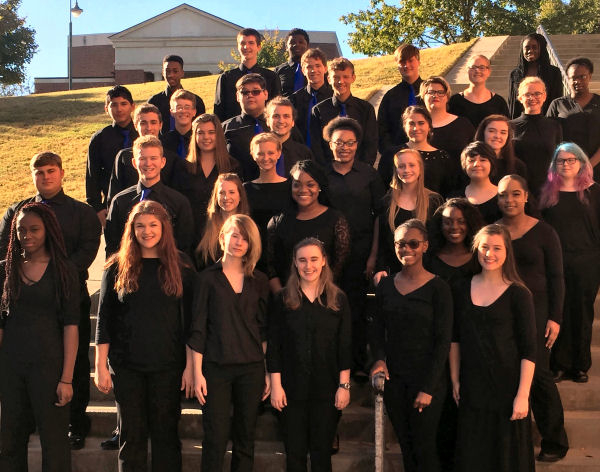 Olive Branch High and Delta State University choirs made beautiful music in a joint choir performance in Olive Branch with a free concert at Christ Presbyterian Church. 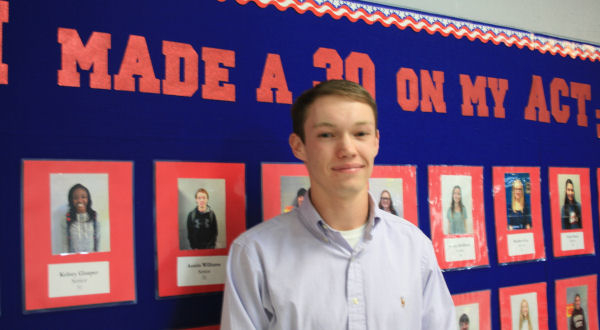 Two DeSoto County School seniors with the desire to serve their country have one or more offers to attend a U.S. Military Academy. Emerson Grimes, a senior at Horn Lake High, has an appointment to attend the U.S. Military Academy at West Point, NY, and is waiting to hear from the Naval Academy in Annapolis, MD. 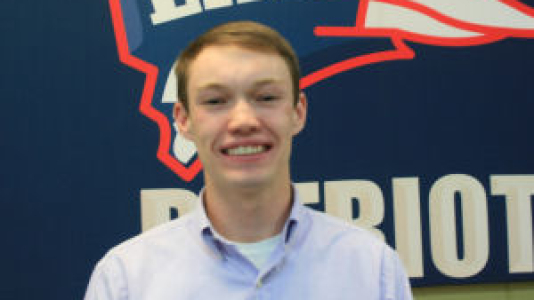 Austin Williams, a senior at Lewisburg High, spent 1 ½ years applying to three of the four Military Academies—United States Air Force Academy in Colorado Springs, CO, West Point and Annapolis. 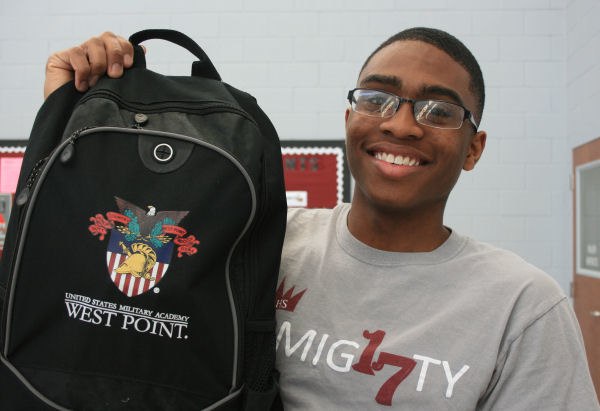 He has received two appointments—The Air Force Academy and West Point Military Academy. Annapolis has not yet sent their appointments. Getting accepted by one of the prestigious institutions is a feat, let alone two or three. Each scholarship is worth approximately $500,000. Each year, thousands of high school students apply for admission, but only a few are accepted. Those who are selected to attend one of these schools receive a college education that is unparalleled in the world with tuition, room and board, and expenses fully paid. Stellar grades, test sores, leadership skills, community service, and physical fitness were all part of the formula that got them noticed. Being accepted has been described as getting into an Ivy League school—with the added difficulty of getting a congressional nomination. Both young men had letters of recommendation from Senator Roger Wicker, Senator Thad Cochran and Congressman Trent Kelly. Both students want to pursue engineering and have taken upper level courses to prepare themselves for rigorous studies ahead. Emerson Grimes feels the Marine JROTC Program at HLHS prepared him mentally and physically for either West Point or the Naval Academy. In JROTC, Grimes serves as the Drill Team Commander, is on the Rifle Team, and Color Guard. He has earned the rank of 1st Lieutenant. At HLHS, he was elected Senior Class President and President of the Beta Club. He is an officer in the National Honor Society and a member of the Reach-Out Club, an anti-bullying effort. He plays tennis and runs on the HLHS Cross Country Team. Lt. Colonel Skip Barth is in charge of the JROTC program at HLHS. He said he takes his cadets to Parris Island in South Carolina in the summer to give them a taste of the physical and mental test of training. Austin Williams said he has been playing sports since he could walk. He was the receiver on the LHS football team and caught a touchdown on Senior Night when they were playing, coincidentally, West Point High School. He also runs track and does powerlifting. Being physically fit is only one of the traits necessary to be accepted for admission. His principal says he is highly intelligent, has excellent character, sets a goal and goes for it. Williams said he learned a love of the military from his grandfather, and his father has pushed him to try his best at everything he does. “My dad is a police officer, a patriot and a community servant. I have seen what he goes through in his job. He has taught me the importance of having structure in my life to accomplish any task,” Williams said. Williams was recently named to the LHS Hall of Fame. He was in charge of logistics for the Empty Bowls Project where students raised $13,000 for area food banks. 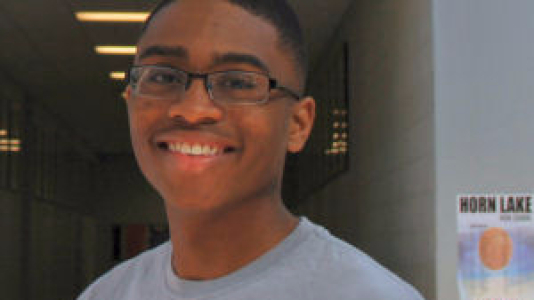 He is in the Chick-fil-A Leadership Academy, and is in the “30+ Club” for his Composite ACT score. “It has been my dream to serve my country. I plan to do it through one of the Academies,” he added. Principals receiving PREPS Awards were, from left to right, Dr. Jerry Floate, OBMS, Math; Jeannie Treadway, LPS, English; Chris Fleming, LHS, Biology 1, US History, Algebra I, English II; Leslie Heyman, CHES, Math; Brad Meadows, LMS, English, Math; Duane Case, DCMS, Math; Cliff Johnston, DCHS, Algebra I; Freddie Joseph, HHS, English II; with Superintendent Cory Uselton. 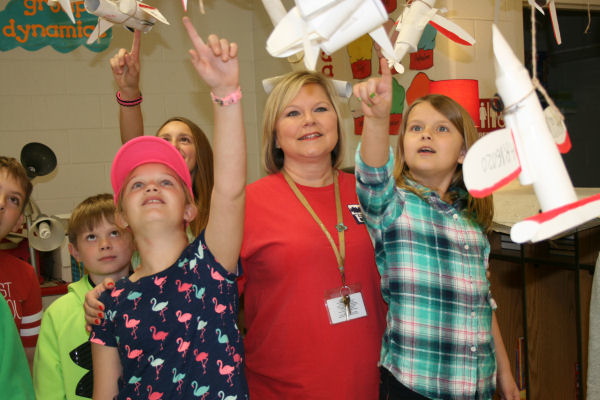 Eight Desoto County Schools received special recognition for performing significantly better academically than projections anticipated. Lewisburg Primary School, DeSoto Central Middle School, Lewisburg High School, Lewisburg Middle School, Center Hill Elementary School, DeSoto Central High School, Olive Branch Middle School and Hernando High School were given plaques by the PREPS Value Added Awards Program, under the direction of Mississippi State University. The principals were also recognized by the DCS board members. In different categories of learning, the students at those schools performed better than students at other schools of similar socioeconomic circumstances. 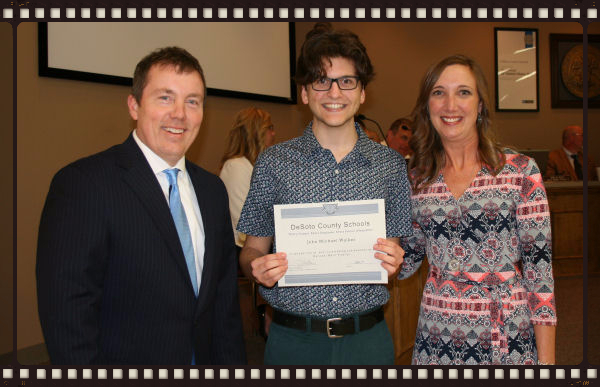 "It is an honor to be recognized for our teachers, students, and parents’ efforts and to have such a strong showing for DeSoto County Schools,” said Superintendent Cory Uselton. 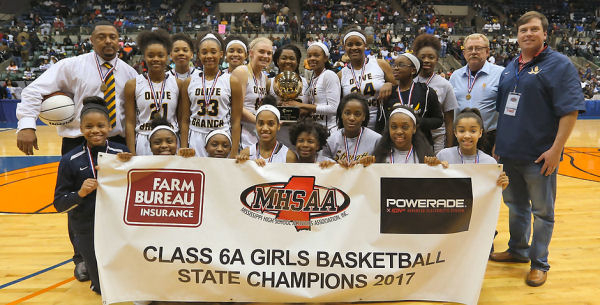 Celebrating success, hard work, dedication and pride were the goals of a surprise pep rally at Olive Branch High School, according to OBHS Principal Allyson Killough. Each group marched into the gym in front of 1,100 students, with music playing “We are the Champions,” and had their names called one by one. 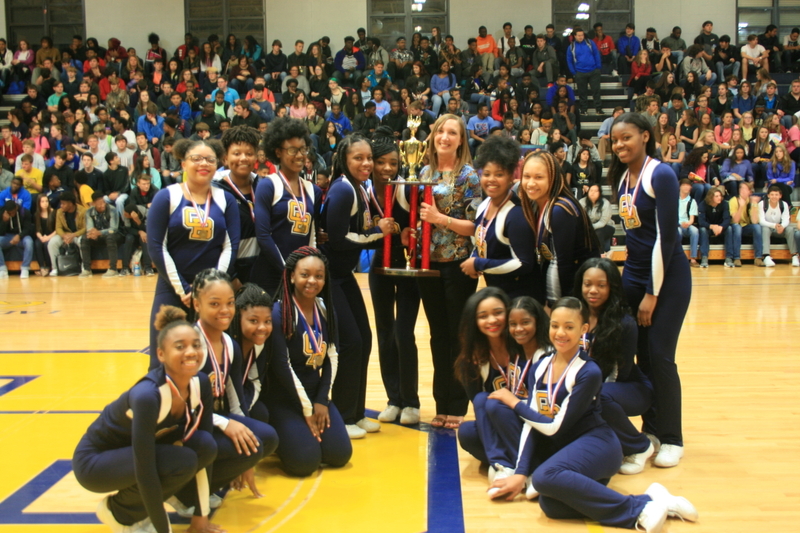 The dance team won the MHSAA 5A/6A state title in December. The girls’ basketball team became the state champs during Spring Break. This was the Lady Quistors basketball team’s third visit to the MHSAA 6A state championship game in the last four years. In previous years, they could not get past county rival Horn Lake High School. While it was a different story this year, the victory did not come easy for Coach Jason Thompson. At one time, Olive Branch trailed unbeaten Starkville High School by 11 points. They came from behind and defeated Starkville 57-54. “I was kind of nervous but we know how to win,” said OBHS player Tyriana Gilbert. Myah Taylor, senior point guard, has earned Gatorade Mississippi Player of the Year Award for the past three years. Gatorade selects one player from all 50 states and the District of Columbia, and will select one player as the national Player of the Year in April. Spotlight students at Lewisburg Elementary Skyped with a nationally recognized historian to learn how he plans to locate Amelia Earhart’s airplane 75 years after her disappearance. Their unit of study has been researching different mysteries of history. Ric Gillespie, author of “Finding Amelia: The True Story of Amelia Earhart” and executive director of TIGHAR (The International Group for Historic Aircraft Recovery) will soon embark on a $2.2 million expedition near Hawaii, and he talked to the fourth grade students and shared his plans to search an area he has pinpointed through his scientific research. Talking live to a noted historian developed because 4th Grade Spotlight Teacher Angel Lashlee’s brother works in Internal Communications with FedEx, and he had previously met Gillespie. When her brother heard about how students were researching historical mysteries, he gave Lashlee contact information for Gillespie. 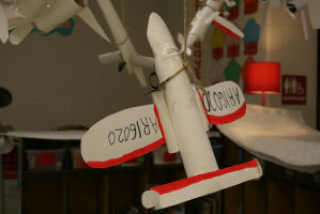 To prepare for the event, students made replicas of Earhart’s airplane, listened to Gillespie’s PowerPoint presentation online, and began reading and documenting facts about this elusive pioneer in aviation. Ric Gillespie reinforced what the students learned and patiently answered all of the questions the young scientists fired at him. “Everything has pointed to the airplane having gone over the edge of that reef in a particular spot, and the wreckage ought to be right down there,” said Gillespie. 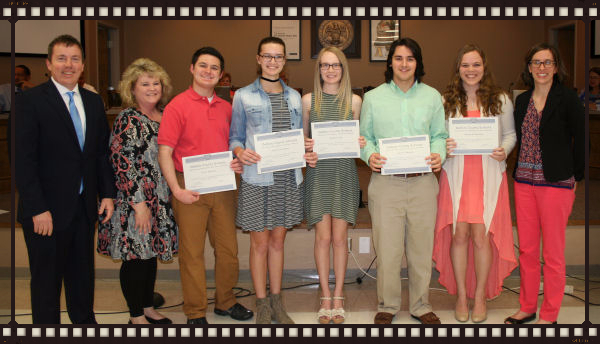 Fifteen DeSoto County School students have made it to the elite ranks of National Merit Finalists. 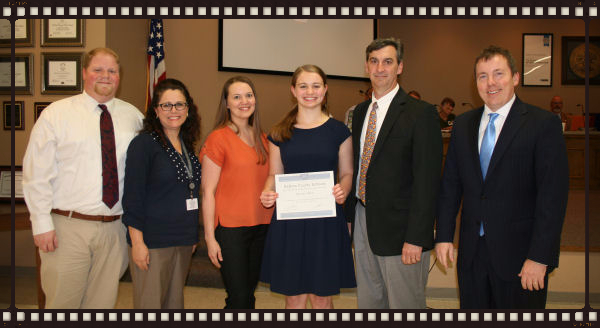 The National Merit® Scholarship Program is an academic competition for recognition and scholarships that began in 1955. High school students enter the National Merit Program by taking the Preliminary SAT/National Merit Scholarship Qualifying Test (PSAT/NMSQT®)—a test which serves as an initial screen of approximately 1.6 million entrants each year—and by meeting published program entry and participation requirements. 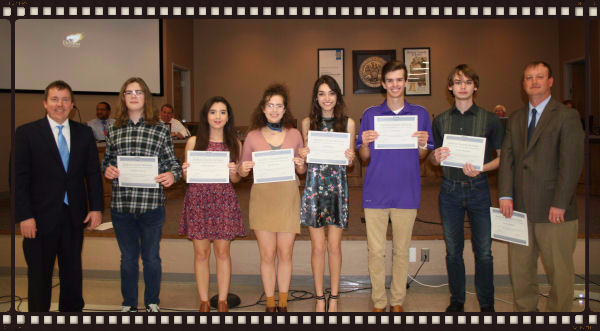 A select group of National Merit Finalists is chosen to receive prestigious National Merit Scholarships totaling nearly $35 million. Finalist candidates have the strongest combination of academic skills and achievements, extracurricular accomplishments, and potential for success in rigorous university studies. Scholarship winners represent less than 1% of the initial pool of student entrants. 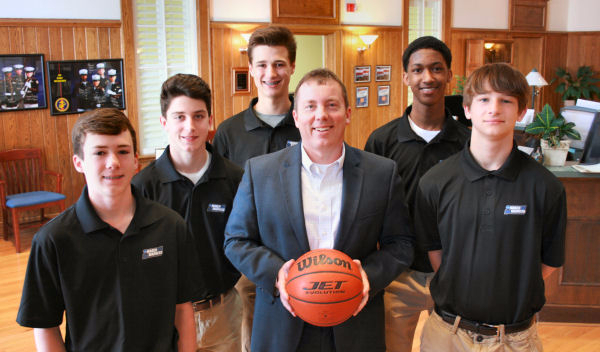 Five DeSoto County Schools’ students were asked to serve as ball boys at the NCAA South Regional Tournament. The students met with Superintendent Cory Uselton before they left for the FedEx Forum. The students are, from left, Drew Ainsworth, Lewisburg Middle; Landon Anthony, DeSoto Central Middle; Reid Flanagan, Hernando Middle; Josh Williams, Hernando Middle; and Cooper Adney, Lewisburg Middle. 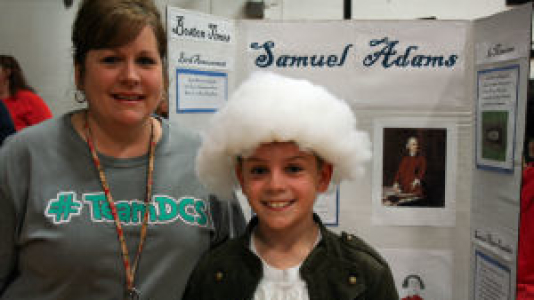 Melissa Thomas came to see Camden Valentine represent Samuel Adams (left); Ethan Allen (right) is Nicholas Polinski. There are two ways to study history. 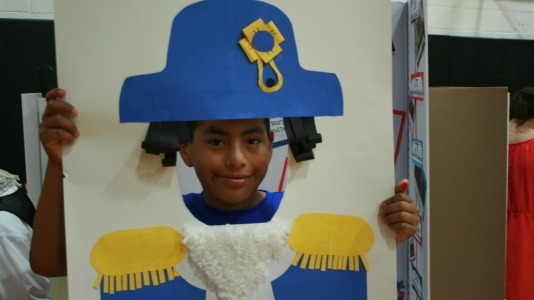 Students can memorize facts from textbooks or they can learn in an innovative way by researching and dressing like a historical character, sharing the knowledge they gain. 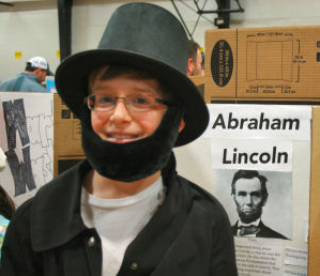 The 4th Grade Class at Oak Grove Central Elementary School held a “Living History Museum” in their gymnasium. After researching the life of influential members of history, students wrote and presented one minute monologues about their findings while in character, according to Assistant Principal Wendy Myers. The “historical figures” stood motionless until a parent or visitor touched the red dot on their thumbs. Once the red dot was touched, the students came to life. Their job was to explain their character’s historical significance. Visitors were able to experience the story through the eyes of a fourth grader. Garrett Liston was brought to life when his grandmother, Janet Robison, touched his red button. “I am Benjamin Franklin. I only went to school until I was 10 years old, but I discovered electricity, bifocals and batteries. I started the U.S. Post Office,” he said. Garrett went back to being “frozen” after his speech. 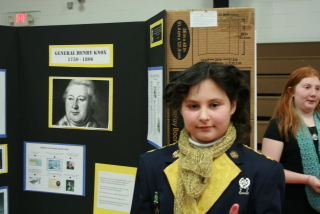 Audrey Johnson selected General Henry Knox as her living character. “I picked him because he was General George Washington’s best friend,” she said. Hundreds of smiling parents and friends visited OGCES. 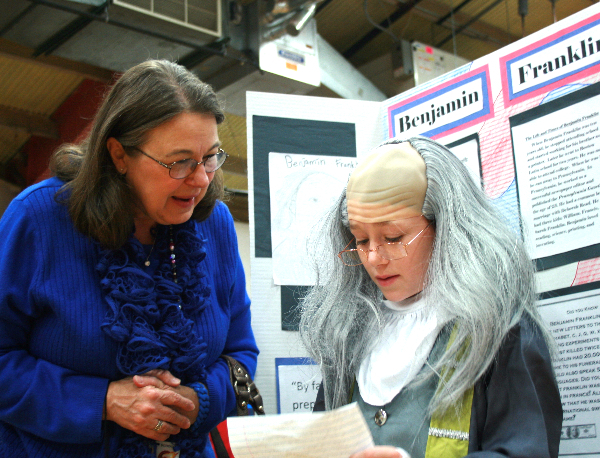 Visitors were taught about these historical figures from the students themselves. The students researched their person, wrote a biography, and then created a costume and presentation for their historical figure. Students also made a tabletop exhibit so that other students and visitors could enjoy. For the sixth year in a row, Hernando High School’s Interact Club has teamed up with The Arc Northwest Mississippi to raise awareness about autism spectrum disorders by “Lighting It Up Blue.” Their efforts have received national attention. The mission is an important one of sharing information about Autism Spectrum Disorders showing others how to be supportive and accepting friends to people on the spectrum. 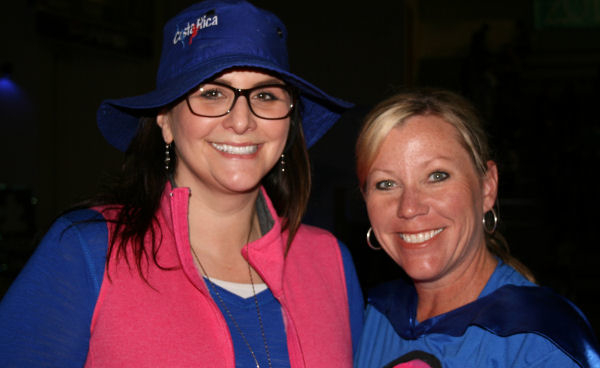 Holly Neel and Angela Gregg sponsor the “Light It Up Blue” efforts. Street signs, light poles and trees along the route have blue bows attached as a reminder of the spectrum behavioral disorder that affects one in 80 children. The decorations were placed by students and friends of Hernando High School. The students have made efforts to embrace autism awareness and spearhead community engagement of the citizens and businesses in the area. More than $25,000 has been raised to support The Arc Northwest Mississippi, an advocacy organization for individuals of all ages with intellectual and developmental disabilities and their families. This class was made possible by a $20,000 grant from Verizon. Two LCMS Counselors, Karmara Hawkins and Kimberly Davis, attended a conference where the program was discussed. 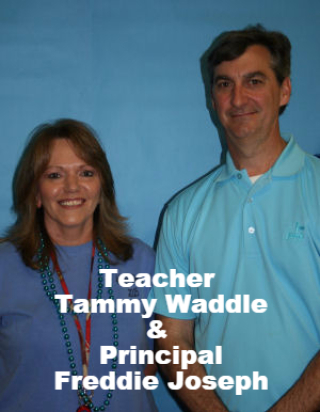 They wrote a grant and were chosen to pilot the program in the first middle school in North Mississippi. 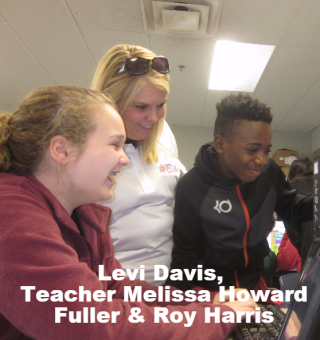 The grant included a classroom set of digital tablets, training for the instructor, and a curriculum that qualified the middle school students to earn a high school elective credit. LCMS Counselors Karmara Hawkins and Kimberly Davis applied for a Verizon grant to launch the Project Lead the Way class. At a time when computer science affects how the world works and lives, PLTW Computer Science empowers students to become creators, instead of merely consumers, of the technology around them. The program’s interdisciplinary course engages students in compelling, real-world challenges. As students work together to design solutions, they learn computational thinking – not just how to code – and become better thinkers and communicators. Students glean from the courses in-demand knowledge and skills they will use in high school and for the rest of their lives on any career path they choose. The class is comprised of advanced math students and is taught by Melissa Howard Fuller. She has a Management Information Systems degree from the University of Mississippi. 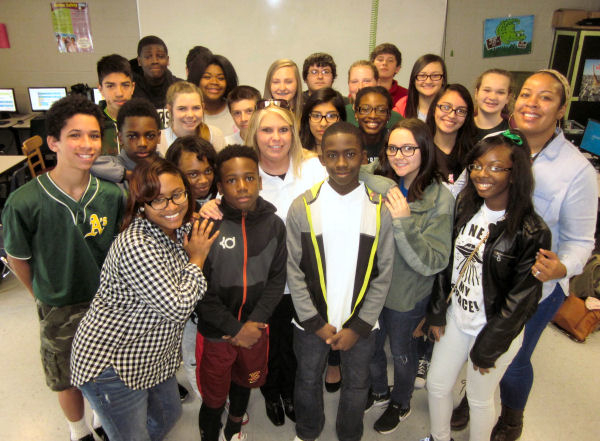 This grant paid for her to go to the University of Alabama and attend a rigorous program to teach the class. How hard is it for middle school students to create and write an “app” for the computer? The class works in teams—one student makes the app and one writes the code. 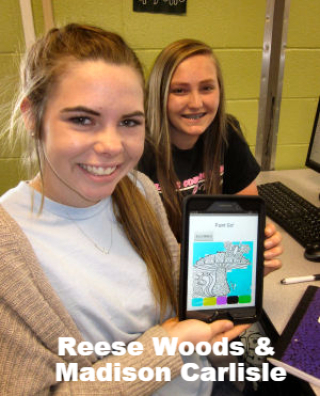 Examples of the apps they have developed include “Digital Doodle” where students can take pictures of objects and change the size and color; and “Boom, Boom, Read,” an app that plays music while students read. From left, standing, Archery Coach Leslie Mason, Superintendent Cory Uselton, Lewisburg High Principal Chris Fleming, and Blue Mountain College Assistant Athletic Director Clint Gannon. Seated, David Ruffin and Trey Paris. 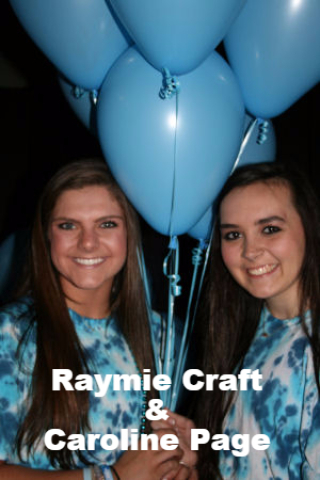 Two students made history for DeSoto County Schools—they have become the first students to receive college scholarships for their participation in archery. 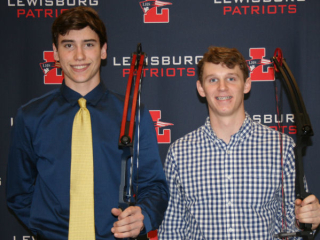 David Ruffin and Trey Paris, seniors at Lewisburg High School, signed letters of intent to compete in archery at Blue Mountain College, a liberal arts college in Tippah County. Archery is a sanctioned sport of the Mississippi High School Activities Association, but is done through the Mississippi Department of Wildlife, Fisheries and Parks. According to Mason, the program at Lewisburg was launched by a Mississippi Wildlife, Fisheries and Parks grant eight years ago. This provided the necessary equipment to have a program which actually made its debut at Lewisburg Middle School. 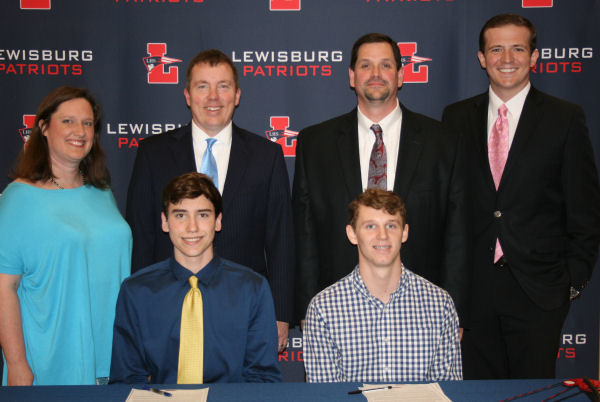 Blue Mountain College's Assistant Athletic Director Clint Gannon came to Lewisburg High for the signing.